Ideal 236 Chickens - What Color Eggs? Ideal 236 Chickens – What Color Eggs Will They Lay? We decided this would be the year we got our feet wet raising chickens. We’d never raised chickens before so we bought our Ideal 236 chickens as day-old chicks back in April. One was a banded female but we were just hoping the other two were female. Another chicken-shopper at the feed store told us that although not 100% accurate, you could hold the chick upside down and if they struggled their legs to upright themselves they had a higher probability of being a rooster, but if they were relatively still they had a higher probability of being a hen. 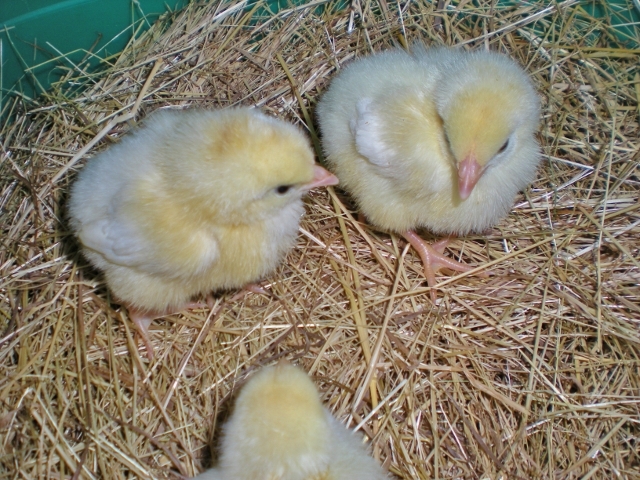 Using their advice, whether or not an old wives tale, we picked up three of the cute fuzzy yellow chicks. As they grew and their feathers came in, the chicks gradually turned from fuzzy yellow to white. Then at 21 weeks they finally started to lay eggs. Oh yes, those beautiful brown orbs we had been waiting for! We had seen no indication that any of the Ideals were roosters so we were hopeful that they were all hens. They apparently enjoy sharing a nesting box since for about a week we picked up 1-2 brown eggs per day out of the same nesting box, then came the day when we found two nesting boxes were being used & there was a white egg in the newly-used box. Hummm…. I sent out a question to our Facebook Page followers. One reader came back with the question “what color are their lobes”? I had read that the color of their ear lobes would show what color their eggs would be, but like so much that you read online sometimes I wondered if this too was just a wives tale or unproven theory. Besides I’d never even considered a chicken as having ear lobes before! So curious I went out to look. And sure enough, two of the girls have red lobes and one has white. So at last we know who is laying the white egg. Guess it’s not an old wives tale after all! 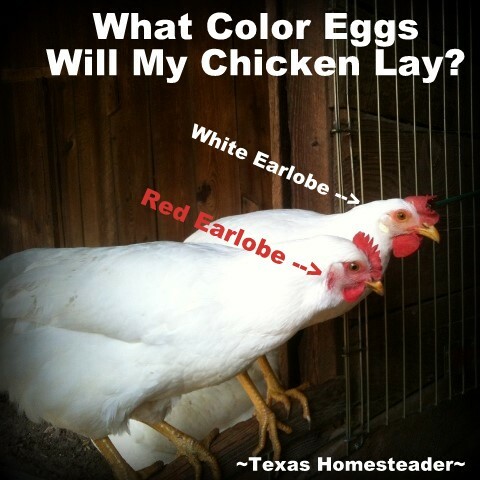 This entry was posted in Blog Posts and tagged Chickens, Small Town Living on September 29, 2013 by Texas Homesteader. How neat! My silkies had blue ear lobes and laid off-white eggs. Pingback: Fall-Back Friday: What Color Egg? I never knew this! Thanks for sharing, learn something new everyday! So cool! Of course, chickens can hear, but I never thought of chickens having ear lobes. 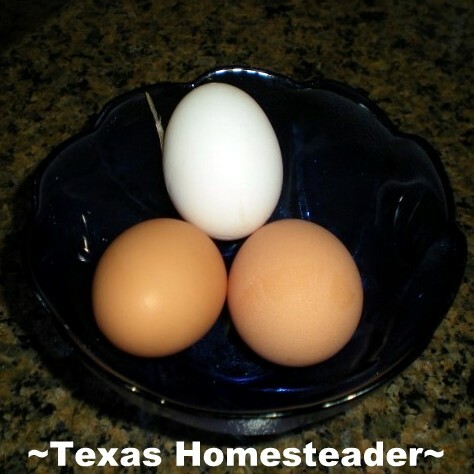 I love reading your homesteading posts; I learn so many new things. Thank you for linking up to Fabulously Frugal Thursday. Yep! It’s true! Easter Eggers and Ameracaunas also have red ear lobes and may lay a variety of different colored eggs….so the red ear lobes can indicate brown or ‘Easter Egg’ colors.